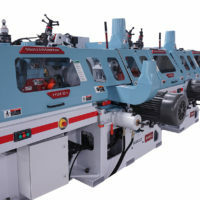 Commonly referred to as “The King of Flooring Machines,” the HASKO FSM MatchMaster leads the industry in production, runtime efficiency and maintained accuracy. 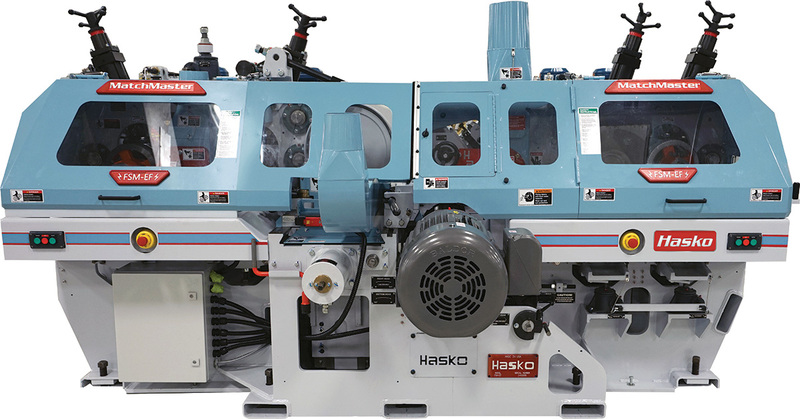 As factory prefinished flooring changed the wood flooring industry, their required tolerances have driven HASKO to be the manufacturer’s side-matcher of choice. HASKO offers complete solutions for your Solid Wood and Engineered Wood Flooring manufacturing needs. Hasko is committed to continuous improvement through technological advances. 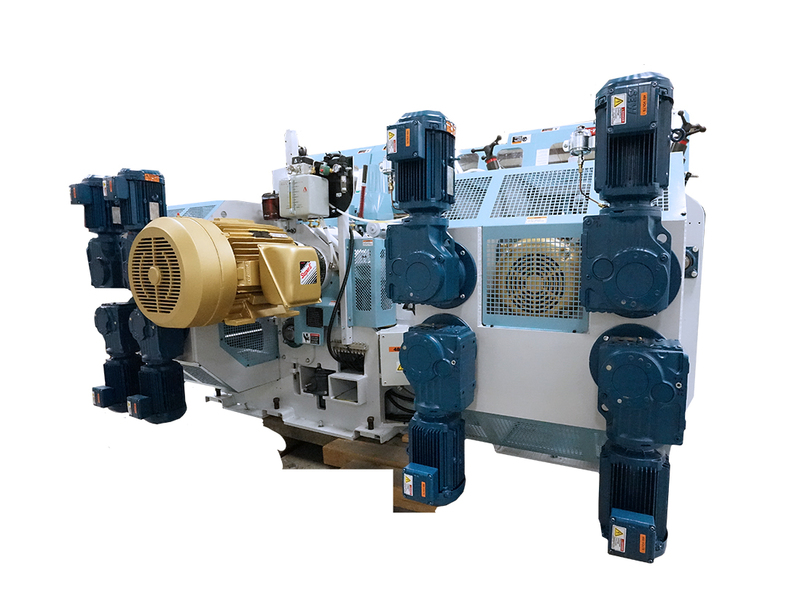 Add our new FSM electric feed upgrade to your existing machine to improve performance while significantly reducing operating costs. 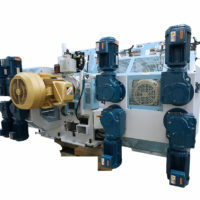 New 40 HP combined electric drive reduces energy costs and preventive maintenance, compared to existing 75-100 HP hydraulic drives. 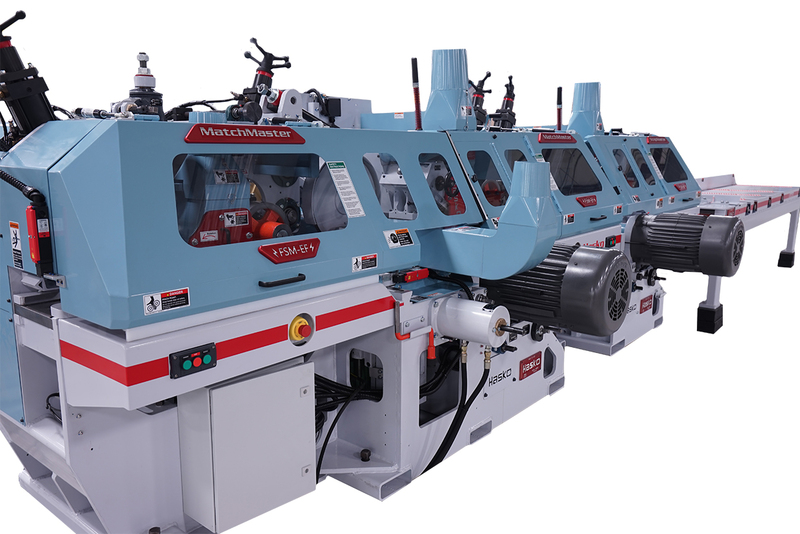 Projected 2% annual increase of efficiency and run time, increasing throughput.